Sounds a little strange huh? Success from a foreclosure.... Well that is exactly what happened. Spanky's building and parking lot in the heart of downtown Roanoke went to foreclosure sale this past Tuesday. Last October Spanky's mother passed. The properties Spanky managed were owned by his mother. All of the property was given to Spanky's kids and Spanky remained as the property manager. Recently Spanky made July's payment to Zions Bank one month late in August. The bank called and wanted payment immediately and Spanky paid August, September and part of October on August 29th. Insurance was currant, taxes were being paid, everything was good. During August the bank proceeded with foreclosure even after being paid in full. Their reason was that his mother was the only signer on the note and there was no one to guarantee the note. The bank was using the "due on sale clause" that you find in all mortgage agreements due to the death of his mother. Highly unethical thing to do. Spanky tried very hard to work with the bank, injunctions to stop them, etc but the bank and Marryellen Goodlatte (Bob Goodlatte's wife) were not willing to budge or even give him the time to have his kids secure a loan on this property that has boatloads of equity and ongoing cash flow from Nawab restaurant and 4 high end apartments upstairs. Given just a few weeks they easily would have had enough time to secure a loan on a property that has that much equity. Spanky's kids only owed $423K on this 1.1 million dollar property (tax value). The 1.1 million dollar building is in one of the best locations in Roanoke City. Dead center in the heart of downtown. When the market is up that building is going to be worth it's weight in gold. Remarkably luck was on the side of Spanky's kids. 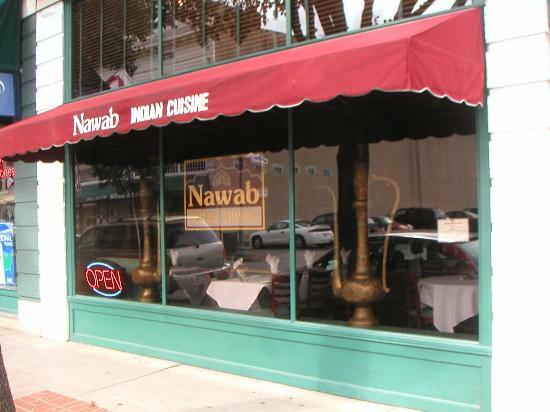 The property sold at foreclosure to Nawab Restaurant who was the highest bidder. They paid $780,000 for this property. Yes, the tax assessed value is 1.1 million but Roanoke City has not dropped the value of their assessments in an attempt to collect money that is not owed to them from all Roanoke citizens. Property values went down by 18-20% since the bubble popped as reported by the president of the Realtors Association in Roanoke. You see, commercial property is valued based on it's capitalization rate (Cap Rate). Most commercial property is sold at or better than a 10% cap rate. A 10% cap rate for that property is $750,000. That's it's true value as a commercial property based on rents, expenses, and many other factors. Therefore this was untypically a very successful foreclosure considering the equity in the property and amount it sold for. It also turned out good for Nawab because they now own the building they are in, have 4 apartments upstairs that will cover a great deal of their mortgage and have a large income producing parking lot behind the building right across from the art museum.